Posted in 52 Ancestors Challenge on May 19, 2015 by Amy Johnson Crow. Summer will be here before you know it! While you’re planning your summer getaway, think about the ancestors you want to write about next month! Week 23 (June 4-10) – Wedding: June is time for weddings. Write about a June bride in your family or highlight a favorite wedding photo. Maybe there’s a serial marry-er in the family — that could be a fun post! Week 24 (June 11-17) – Heirloom: What heirloom do you treasure? Who gave it to you? What heirloom do you wish you had? 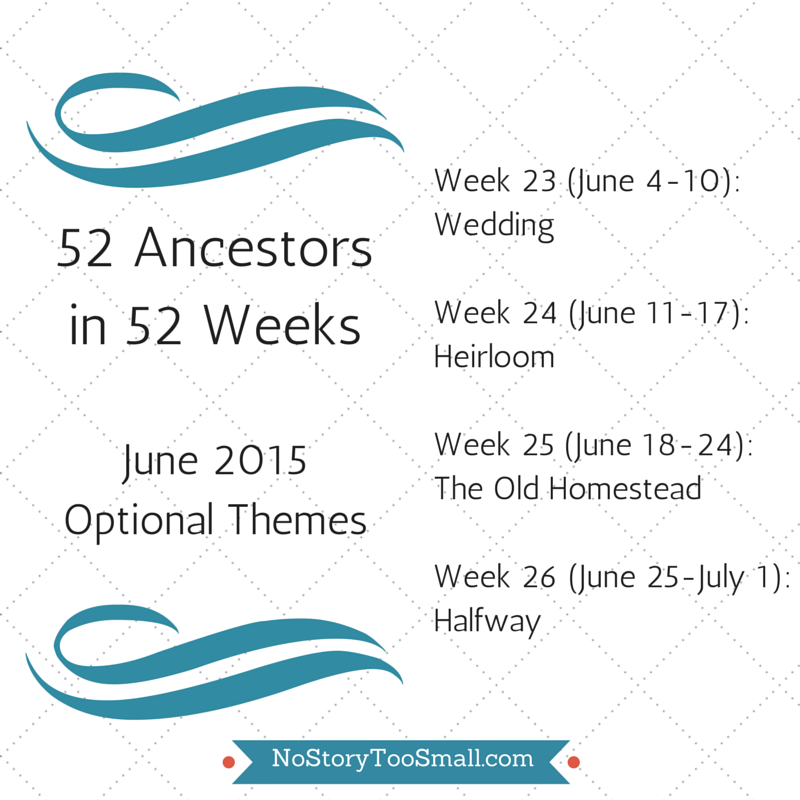 Week 25 (June 18-24) – The Old Homestead: Have you visited an ancestral home? Do you have photos of an old family house? 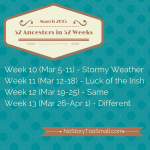 Do you have homesteading ancestors? 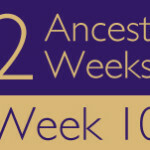 Week 26 (June 25-July 1) – Halfway: This week marks the halfway point in the year — and the 52 Ancestors in 52 Weeks challenge! What ancestor do you have that you feel like you’ve only researched halfway? What ancestor do you feel like takes up half of your research efforts? The weekly recaps will be posted on Thursdays. Looking forward to seeing all of your posts! 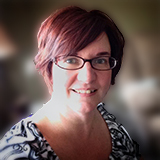 I apparently forgot how to post my latest entry on the 52 in 52 blog so I posted the link above. I did mine for Fathers Day as a tribute to my dad.